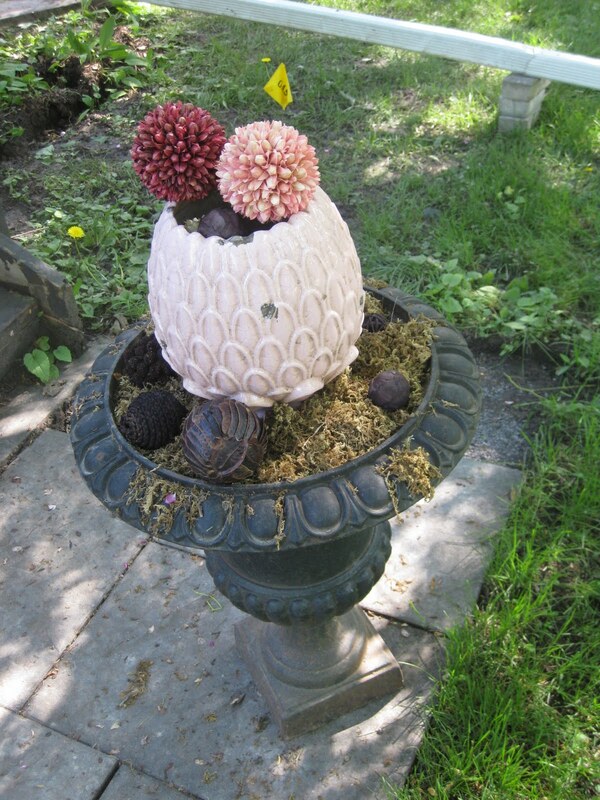 Inspired by the folks on Friday’s at ShabbyNest I created a planter that requires no care, can be moved often and is the one thing in my yard this summer that won’t be an eyesore. I normally put some nice flowers and baby them along but this year it just isn’t going to happen. All I’ve done is taken a planter that I already had, add a pink vase (that I also had) and surrounded the base with dirt and then a layer of spanish moss. Fill with decorative balls from the write-off bin at Walmart (the package wasn’t full and I got a huge discount) and Voila! Also inspired by all that I’ve seen at ShabbyNest is my version of a moss covered, door initial. This door will only exist for a couple of more weeks so I thought it deserved a bit of final bling before we say goodbye. 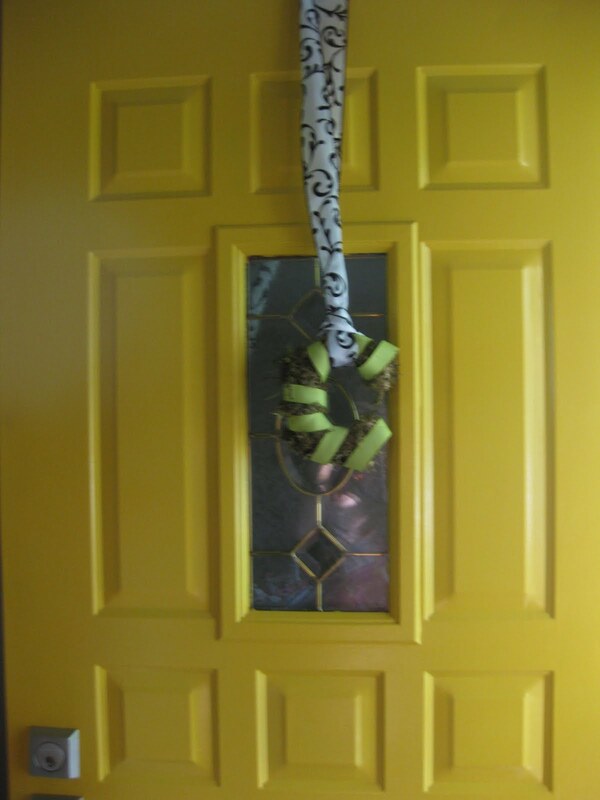 I’ve had fun painting this door a couple of different colours (fire engine red and now my obnoxious yellow) but we’re going with a rather staid black for our new one.